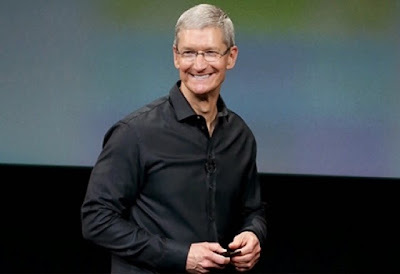 Tanea Moniquex | Celebrity Entertainment News, Fashion, Music and Advice: APPLE CEO COMES OUT "I'M GAY"
Apple CEO Tim Cook made a big announcement earlier today, Oct 30, but it wasn't about the latest Apple product to launch. Cook decided to come out in a moving essay for Bloomberg Businessweek. "The desire for personal privacy has been holding [him] back from doing something more important." He also revealed that many of his colleagues were already aware of his sexuality and that it doesn't make a difference at work.